The new tube allows for much better transfer of humidity to your cigars. We now offer a Medium Humi-Tube of Heartfelt Beads. This tube will control the humidity in a humidor up to 540 cubic inches. Important: You can use more Hearfelt Beads in your humidor than the minumum amount recommended. The additional Heartfelt Beads will give you more moisture storage and help the humidor recover quicker when it has been opened. The extra Heartfelt Beads will also help compensate for seasonal changes and a less than perfect seal on your humidor. Size: 6 1/4" long by 3/4" in diameter. The new tube allows for much better transfer of humidity to your cigars. We now offer a Large Humi-Tube of Heartfelt Beads. This tube will control the humidity in a humidor up to 1080 cubic inches. Size: 4 1/4" long by 1 3/8" in diameter. The new tube allows for much better transfer of humidity to your cigars. We now offer a Extra Large Humi-Tube of Heartfelt Beads. This tube will control the humidity in a humidor up to 2000 cubic inches. Size: 6 1/4" long by 1 3/8" in diameter. Just added to the product line here at Heartfelt is the NEW Heartfelt Round Cigar Humidifier. The case is clear so seeing the condition of the Heartfelt Beads has never been easier. 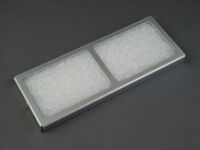 Controls the humidity in a humidor up to 1050 cubic inches. 3" in diameter, 3/4" tall. 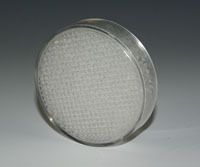 Can be easily mounted to the lid or sides with the included two piece magnet. 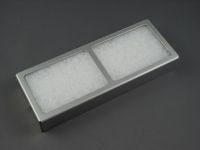 Controls the humidity in a humidor up to 540 cubic inches. 2-1/4" in diameter, 3/4" tall. 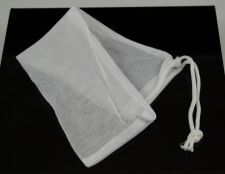 The Drawstring Bag is used to hold the Heartfelt Humidification Beads. This bag will contain the beads and allow them to do their job to the maximum they are capable. The bag allows fo maximum surface area exposure giving your humidor the best humidification possible. The bag comes in 3" x 8" size and has a tight weave. Each bag will hold a half pound of Heartfelt Beads. Here we offer the 65% Heartfelt Humidity beads in a 1/2 pound. A 1/2 pound will humidify up to 2 1/2 cubic feet of space. Here we offer the 65% Heartfelt Humidity beads in a 1 pound. 1 pound will humidify up to 5 cubic feet of space. The bag comes in 4" x 12" size and has a tight weave. Each bag will hold 1 pound of Heartfelt Beads. After a great amount of testing with different bottles, syringes and spray bottles I have found the best item to use to re-hydrate all of the Heartfelt Beads products we sell. This fine tip syringe makes it about as easy as it can get to add distilled water to any of the different containers we sell. It gives you great control of the amount of distilled water you add and makes it very simple to see what percentage of the beads are hydrated. It works great with the Humidification Bead containers we sell, just put the tip in one of the perforation holes and squeeze in a little distilled water, move to another perforation and repeat until the Heartfelt Beads are hydrated. It really could not be any simpler!